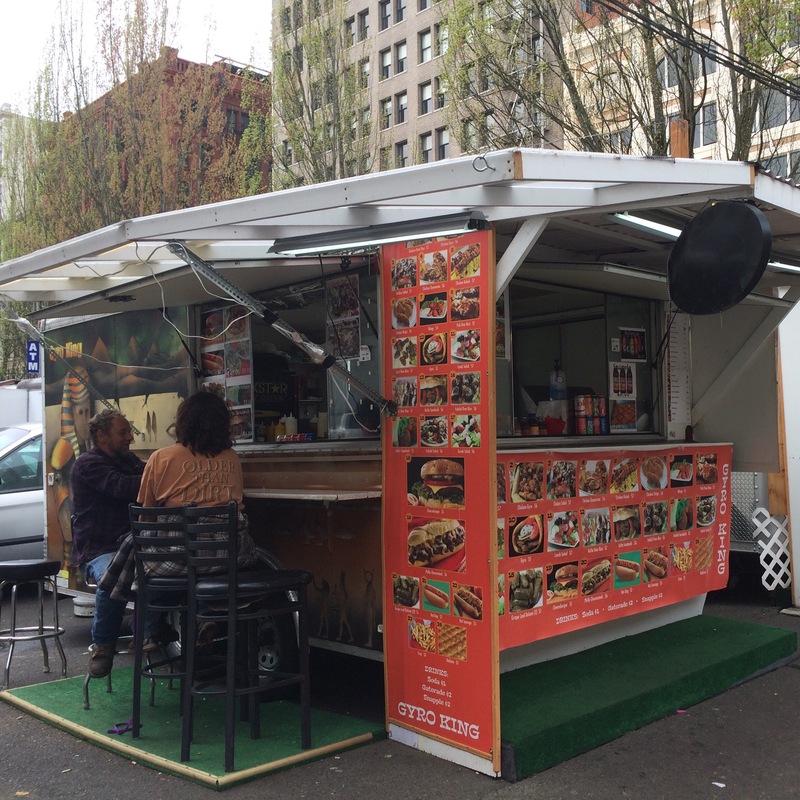 There are so many food carts in Portland, sometimes it can be a bit intimidating trying new ones or knowing where to go. Since I live in SE Portland I tend to stick around the food cart pods here but would like to venture further out. This particular food truck was discovered by my husband after having some drinks with his friends, it was late and he was walking from one stop to the next and wanted food. They stopped at Gyro King in down town Portland on the corner of SW 3rd and Stark, in his inebriated state he declared that this was the best gyro he had ever had! Late that night when he came home he was still mumbling about his amazing gyro experience and that he hoped to be able to find it again. Fast forward to now and I have finally experienced THE gyro for myself, and I do have to say, it was amazing! 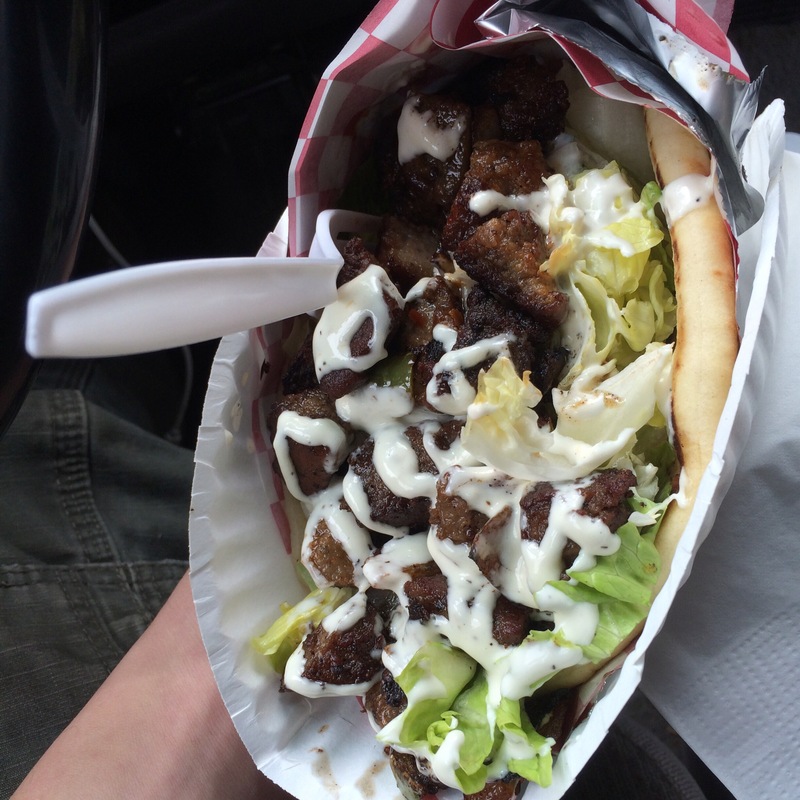 I don’t really like lamb but this gyro has chunks of meat, grilled veggies and is smothered in amazing sauce. Plus it is only $5!! you can’t go wrong! We haven’t strayed from the good ol’ gyro too much but have several friends who get the gyro rice bowl (not sure of exact name) and say its is also delicious. The only thing I would say is that their hours can be hit and miss but if you happen to drive by and they are open then do it! You won’t be disappointed. Thanks, I like the $5 price.